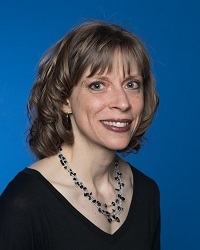 Dr. Inlow's current research program reflects her long-standing interests in the relationship between protein sequence and structure, protein structure prediction, and structural bioinformatics. She is using bioinformatics tools to analyze the amino acid sequences of the enzyme tyrosinase from a variety of organisms in order to make predictions of structure and posttranslational modifications. So far, structures have been determined experimentally only for tyrosinases from a few species. Dr. Inlow is developing homology models for the structures of tyrosinases from other species and using bioinformatics methods to detect phosphorylation, proteolytic, and other posttranslational modification sites within the sequences of various plant and fungal tyrosinases to learn about the in vivo function of these enzymes. Applegate, K. B., Cheek, P. R., and Inlow, J. K. (2019) "Analysis of Kombucha to Teach Biochemical Concepts and Techniques to Undergraduate Students." Biochem Mol Biol Educ Mar. 20. doi: 10.1002/bmb.21240 [Epub ahead of print]. Flurkey, W. H., and Inlow, J. K. (2017) "Use of Mushroom Tyrosinase to Introduce Michaelis-Menten Enzyme Kinetics to Biochemistry Students." Biochem Mol Biol Educ 45:270-276. Dirks-Hofmeister, M. E., Singh, R., Leufken, C. M., Inlow, J. K., and Moerschbacher, B. M. (2014) "Structural diversity in the dandelion (Taraxacum officinale) polyphenol oxidase family results in different responses to model substrates." PLoS One 9:e99759. Dirks-Hofmeister, M. E., Inlow, J. K., and Moerschbacher, B. M. (2012) "Site-directed mutagenesis of a tetrameric dandelion polyphenol oxidase (PPO-6) reveals the site of subunit interaction." Plant Mol Biol 80:203-217. Inlow, J. K. (2012) "Homology models of four Agaricus bisporus tyrosinases." Int J Biol Macromol 50:283-293. Melberg, A. R., Flurkey, W. H., and Inlow, J. K. (2009) "Tissue printing to visualize polyphenol oxidase and peroxidase in vegetables, fruits, and mushrooms." Biochem Mol Biol Educ 37:92-98. Flurkey, W. H., and Inlow, J. K. (2008) "Proteolytic processing of polyphenol oxidase from plants and fungi." J Inorg Biochem 102:2160-2170. Flurkey, A., Cooksey, J., Reddy, A., Spoonmore, K., Rescigno, A., Inlow, J., Flurkey, W. H. (2008) "Enzyme, protein, carbohydrate, and phenolic contaminants in commercial tyrosinase preparations: potential problems affecting tyrosinase activity and inhibition studies." J Agric Food Chem 56:4760-4768. Inlow, J. K., Miller, P., and Pittman, B. (2007) "Introductory bioinformatics exercises utilizing hemoglobin and chymotrypsin to reinforce the protein sequence- structure-function relationship." Biochem Mol Biol Educ 35:119-124. Rescigno, A., Zucca, P., Flurkey, A., Inlow, J., and Flurkey, W. H. (2007) "Identification and discrimination between some contaminant enzyme activities in commercial preparations of mushroom tyrosinase." Enzyme Microb Technol 41:620-627. Marusek, C. M., Trobaugh, N. M., Flurkey, W. H., and Inlow, J. K. (2006) "Comparative analysis of polyphenol oxidase from plant and fungal species." J Inorg Biochem 100:108-123. Inlow, J. K., and Restifo, L. L. (2004) "Molecular and comparative genetics of mental retardation." Genetics 166:835-881. Inlow, J. K., and Baldwin, T. O. (2002) "Mutational analysis of the subunit interface of Vibrio harveyi bacterial luciferase." Biochemistry 41:3906-3915. Kelly, J. W., Colon, W., Lai, Z., Lashuel, H. A., McCulloch (Inlow), J., McCutchen, S. L., Miroy, G. J., and Peterson, S. A. (1997) "Transthyretin quaternary and tertiary structural changes facilitate misassembly into amyloid." Adv Protein Chem 50:161-181. Lai, Z., McCulloch (Inlow), J., Lashuel, H. A., and Kelly, J. W. (1997) "Guanidine hydrochloride-induced denaturation and refolding of transthyretin exhibits a marked hysteresis: equilibria with high kinetic barriers." Biochemistry 36: 10230-10239.